The Science Of Using Pollen To Study Honey. Melissopalynology is the study of pollen in honey. 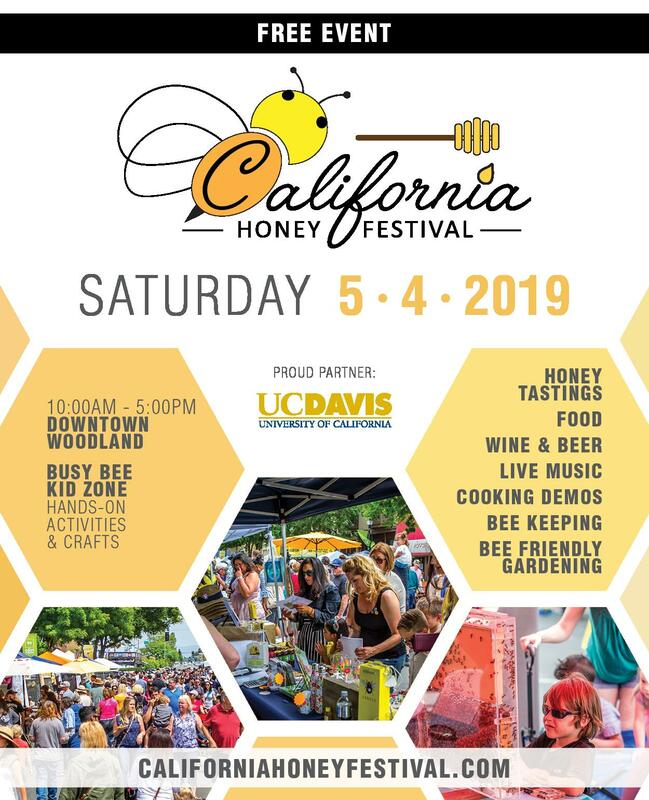 The term comes from the Greek words for “bee” and “honey” along with the words for “study of dust,” which now refers to “pollen.” Today, it is recognized worldwide as being the least expensive and quickest way to determine the floral contents and geographical origin of honey. However, the effectiveness of the technique depends on the skills of the pollen analysis (palynologist), the method of extracting the pollen from honey samples, and the skill of the analyst in interpreting the results. Today honey has become an important commercial business and provides sweetness used in thousands of products. Humans have five basic taste abilities, sweet, sour, bitter, salty, and umami (defined as savory). Of these, we generally do not enjoy foods that are too bitter, too sour, or too salty. However, humans seem to love sweetness and most cannot get enough of eating sweet things. This is probably what drove our ancestors to begin robbing bee hives is prehistoric times. How early that might have begun we don’t know, but paintings on the walls of the Altamira Caves in Spain date to about 15,000 years ago and show people on ladders robbing hives for the honey. In historic times the Egyptians, Greeks, Romans, and other early cultures all wrote about the importance of honey as their main sweetener for foods and wine. During medieval times dome-shaped beehive skeps were in common use and the skep is still the most common symbol for beekeeping. 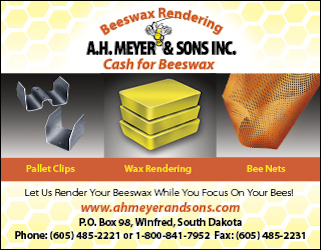 In the New World, Native Americans in Mexico and Central America developed bee keeping using a variety of stingless bees. 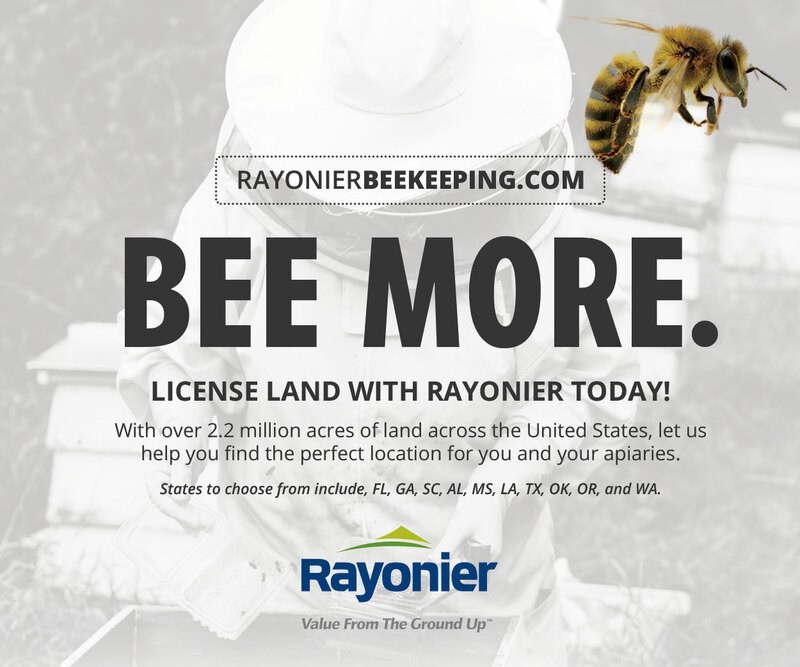 When early Spanish explorers conquered those areas they reported the natives could get about two kg of honey from one stingless bee colony, far less than the bee colonies in Spain and Europe. The first European bees introduced into the New World are believed to have arrived in Virginia in 1821. After the introduction of European honey bees, some Indian tribes called them “White Man’s flies” and referred to the newly introduced white clover (Trifolium repens L.) that often accompanied the spread of honey bees as “White Man’s foot” because both clover and honey bees expanded with European settlers. 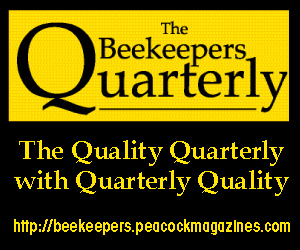 Reports from early New England colonists reported that beekeeping was not profitable until 1851, when Rev. 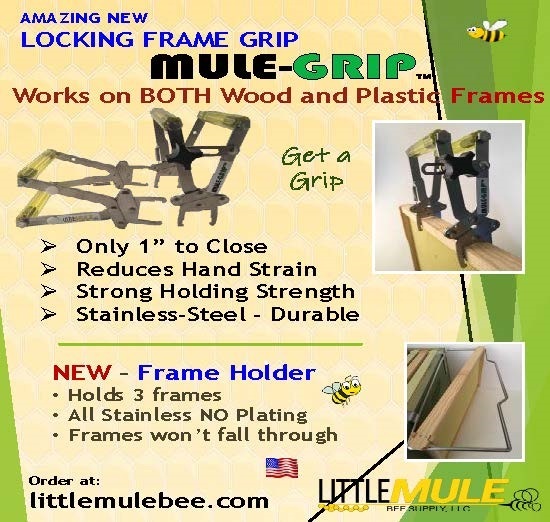 Langstroth developed the removal frames in hives that most people still use today. By the mid-1800s European bees were fairly common throughout the New World. In 1865 Hruschka invented the centrifugal extractor, which greatly increased commercial sales of honey because it could now be sold as a liquid, as opposed to comb honey and the comb wax could be turned into added profit when made into candles or other products. 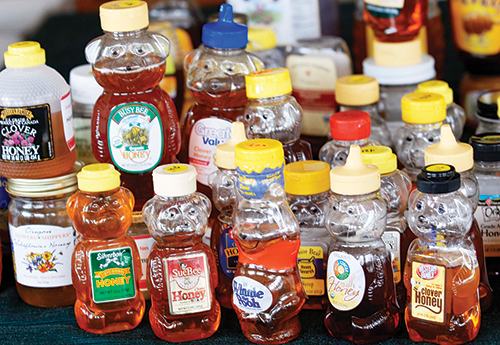 Today, the United States is a major honey producer but ranks far behind China and Turkey, but we have made little effort to determine the contents of U.S. domestic honey. Some work was done during the early 20th century but most of the research in the U.S. focused on the chemical composition of honey and ways to identify honey adulteration. Little effort during that time was focused on the study of pollen in honey, even though pollen composition was being recognized elsewhere as the fastest and least expensive way to determine honey floral types and geographical origins. Honey samples at finish of processing. 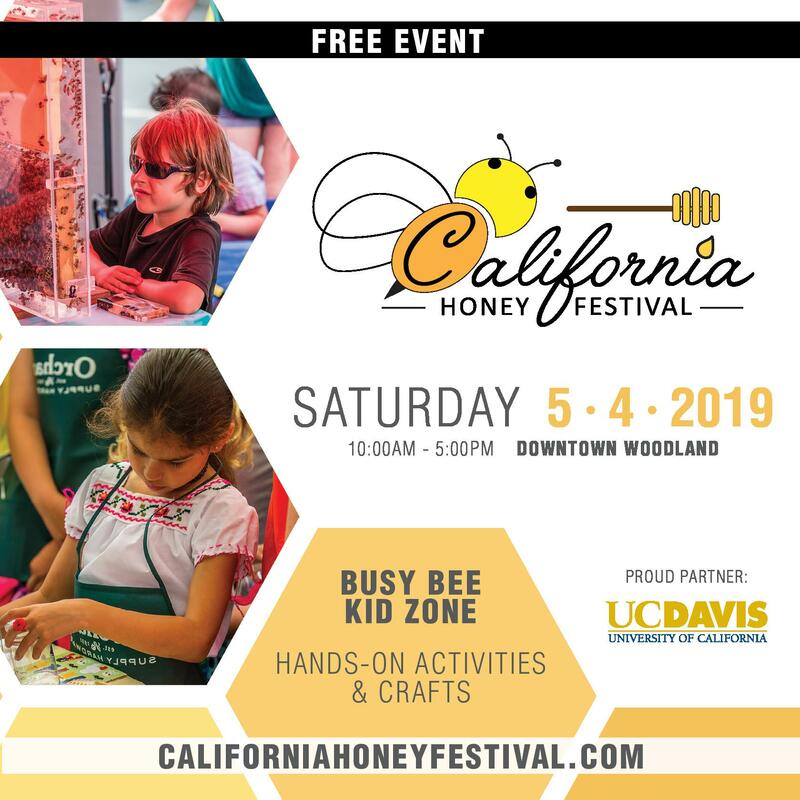 The history of the scientific investigation of U.S. honey and their pollen contents began in the early 1900s, when Young, of the United States Department of Agriculture (USDA), published a brief report on the analysis of domestic honey produced in the U.S. He said goals were to determine U.S. honey types, establish a variation range for U.S. honey types, improve methods of U.S. honey analysis, and see if pollen in honey could be used to “judge the adulteration of the samples.” He reported that “lower pollen counts” probably indicated altered honey. After Young’s initial study in 1908, no other major pollen study of domestic honey was conducted until the early 1940s. Two USDA scientists, Todd and Vansell, began their study of U.S. honey in 1940. They wanted to determine how many pollen grains were present in the nectar produced by different plants, how many pollen grains were actually collected by honey bees from various types of flower nectar, and how efficiently could bees remove various types of pollen from their honey stomach during their return flight to the hive. Their research represented years of effort and they examined over 2,600 individual nectar samples. They caged bees and fed them only solutions of clear syrup mixed with pollen, or diluted honey they had analyzed. They also put bees on blooming flowers of different plants, then trapped and dissected the bees’ honey stomach immediately after they left the blooms. Their research determined some dramatic differences that nobody had realized and their results became the basis for future research and studies that established “coefficient values” for the expected pollen amounts found in many types of honey. For example, they discovered that the same amount of nectar from different plant species contained different amounts of pollen, and that bees could eliminate various amounts of pollen from their honey stomachs before depositing it in the hive. They found that bees full of nectar will rapidly filter out certain types of pollen, but not other types from their honey stomach using the action of the ventriculus and their honey stopper. That process could eliminate much, but not all, of the pollen the bee had collected with the nectar. In one experiment they found that caged bees fed a syrup solution containing 200,000 pollen grains/cc of fluid could eliminate most of the pollen if allowed to fly around for 15 minutes in a caged area with no food. In other words, after collecting nectar, during a normal return trip of 15 minutes to a hive, bees could effectively remove, up to 90% of some pollen types from their honey stomach. 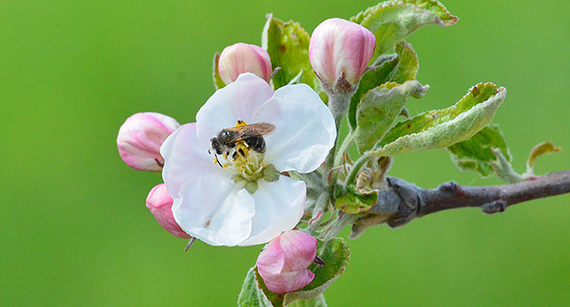 Other parts of the Todd and Vansell study focused on determining the amount of pollen found naturally in the nectar of many different plant species. For example, they found that the nectar/pollen ratio for fireweed nectar contained only about 220 pollen grains/cc of nectar, however, the nectar/pollen ratio for privet was about 6,130 pollen grains/cc. They concluded that the many different nectar/pollen ratios they had calculated might help determine the true amounts of expected pollen in honey. They found that depending on how long bees took to return to the hive determined how much of the pollen in the nectar they could eliminate. They also discovered that the bigger the pollen grains the faster and more efficient the bees were at eliminating those types. Therefore, large pollen types found in the flowers and nectar of magnolia and tulip trees could be eliminated rapidly while smaller pollen grains in the flowers of sweet clover, blue weed and forget-me-nots could not. After the Todd and Vansell report in the 1940s, there were only a very few minor studies or mention of the pollen contents in U.S. honey. It wasn’t until the 1970s, and early 1980s, that the first extensive pollen studies of domestic U.S. honey were conducted by Meredith Lieux at Louisiana State University. Her research represented the first U.S attempt to produce detailed pollen analyses of honey, and she was the first to use the combination of pollen types as a guide to determining the geographical location where each honey sample had been produced. She was also the first to use tracer spores to determine the precise pollen concentration values (the amount of expected pollen) in different types of Louisiana honey. 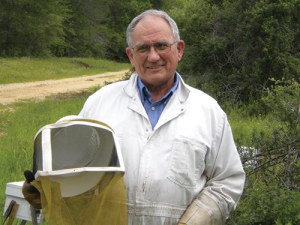 Since Lieux’s studies in the 1970s and early 1980s there were only two additional studies of pollen in U.S. honey, both during the last part of the 20th century in the 1990s. The first one was a study by Jonathan White and Vaughn Bryant examining the chemical and pollen properties of different mesquite and cat’s claw acacia honey samples collected from regions in Texas and Arizona. The focus of their research was to search for ways to identify adulteration of honey using both stable sugar isotope levels and pollen. They focused on samples of mesquite and cat’s claw acacia honey that were purported to be either adulterated or unifloral types; however, their research showed otherwise. Their second study focused on ways to identify unifloral orange blossom honey based on both pollen percentages and levels of Methyl Anthranilate. The only published pollen study of U.S. honey this century is the one by Gretchen Jones and Vaughn Bryant on the honey from East Texas. 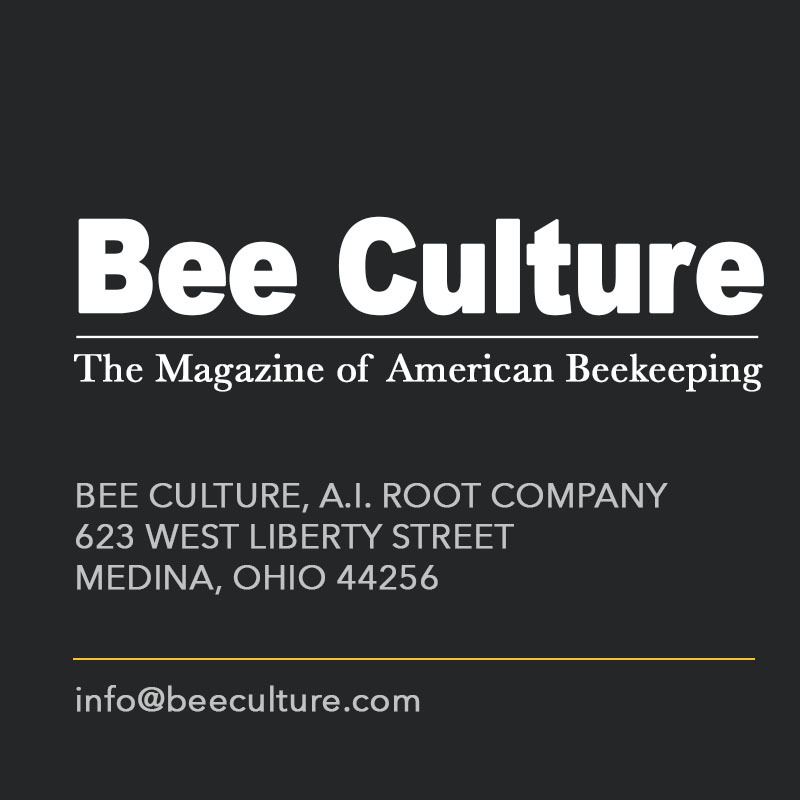 The apparent reason why in more than 100 years there have been so few published studies of U.S. honey types is a reflection of why so few people have the skills to analyze honey. Learning to analyze the pollen trapped in honey requires a broad understanding of botany and bee biology. Each study is also very time-consuming and requires both concentration and an inquisitive mind. The process of recovering pollen from honey is not complicated and it can be done fairly easily provided one has the right kind of equipment and in some cases the right type of laboratory. Because of the role pollen analyses play in honey and honeybee research, it is essential that pollen recovery techniques produce accurate and repeatable results. Extracting pollen from honey is not a difficult process. The original recommended standard procedure established during the early 1900s was to dilute 10 g of honey with 20 ml of water, centrifuge the solution at as slow speed of 2,500 revolutions per minute (RPM) for five minutes and then examine what was retained in the bottom of the centrifuge tube. Subsequent researchers claimed other techniques were better. Some of the later techniques focused on using a quantity of honey ranging from one – 20 g, while the amount of water used to dilute the honey ranged from 20 – 100 ml; centrifugation speeds also varied from 2,000 to 4,500 RPM and centrifugation times varied from one minute to 10 minutes. 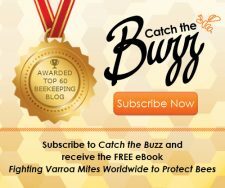 One of the reasons there were so many pollen recovery techniques suggested is because often there really isn’t much pollen in honey. The loss of any pollen from honey can create problems in classifying the honey’s true nectar sources and determining the honey’s geographic location. Think of it this way, suppose you had a bag of 20 marbles with 10 marbles that are black and 10 that are white. What if you reach into the bag and take out a handful and discard them? Now count what marbles you have left. Do you still have 50% of both colors? I doubt it. In other words, you no longer have a true representation of what was originally in the bag of marbles. Honey is the same way, if pollen is inadvertently discarded, you no longer have a true pollen profile of what was originally in the honey. The two most successful pollen extraction techniques, proven through experimentation, is filtering honey or diluting it in alcohol before processing. The filter process, developed in 1983, by Lutier and Vaissiere, consists of using honey diluted with ample amounts of water and carefully filtering through a cellulose filter with openings no larger than two to three microns. Using that technique, they lost no pollen, but the process is very time-consuming and filters can become clogged with large molecules of sugar. The other technique, developed in 2001, by Jones and Bryant, is to dilute 10 g of honey in 100 ml of ethyl alcohol (ETOH) instead of water and then centrifuge the diluted solution. By using ETOH the specific gravity of the honey/ETOH solution is lowered to 0.7 allowing all the pollen to sink quickly when centrifuged. Their published data showed it was as effective as the Lutier and Vaissiere filter technique, but it was considerably easier and faster to use. When water (specific gravity of 1.0) is used to dilute honey, without pressure filtering it, some pollen can continue to float after it has been centrifuged even at high speeds for long periods of time, thus some pollen can be inadvertently discarded. There are over 352,000 angiosperms (flowering plants) from which honey bees can collect pollen and/or nectar. 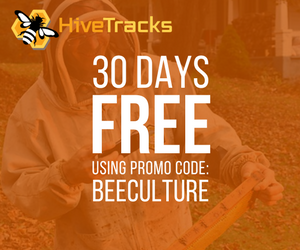 Beekeepers are thrilled to find out what their bees are collecting to make honey. They like to use the information gained from pollen analyses of their honey to increase sales and also brag about their good honey. 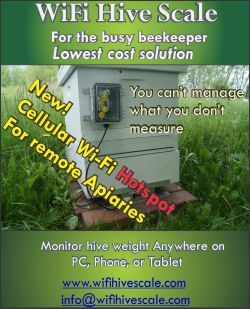 Some beekeepers then decide that they can get results much faster if “they” could do their own pollen study. Some beekeepers call me and say they want to visit my lab for a few days to learn how to do this. I try to discourage those eager callers not because of my unwillingness to spend time with them but because a few days is totally inadequate for learning this complex type of analysis. I usually respond to these enquires with a positive reply offering to work with them if they wish, but adding that, “I have been doing this for over 40 years and I am just now getting good at it!” Being able to analyze the pollen contents of honey samples requires a “long learning curve!” This is not to say that it is impossible for a beekeeper to learn how to do this, but most of them do not have the needed scientific background, the equipment to do the extraction process, or the pollen reference collections needed to help them identify the potential thousands of pollen types they might find in their samples. 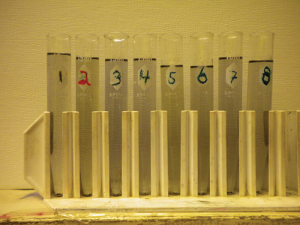 If pollen studies of honey require so much training and such a long learning curve, which most students these days are not willing to do, then why not use a different way to test honey, such as isotopes? For years we have known that various types of adulteration can be detected by using carbon stable isotopic ratio analysis (SIRA). Variations from established isotope ratios in honey often suggest some degree of adulteration created by the addition of high fructose corn syrup or cane syrup. However, sugar added to honey made from beets or rice, is not often detectable using only stable isotope testing. Other isotopes in the proteins of pollen grains in honey include variations of carbon, hydrogen, nitrogen, and oxygen that can be used to reveal the general climate and environment where a honey sample is produced, and in some cases can be used to identify types of pollen. 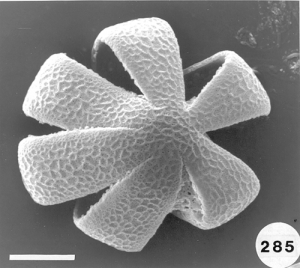 However, none of the individual isotope values found in honey proteins or pollen is usually unique enough to identify a precise geographical region or the percentage of some pollen type in a sample. Sometimes, the use of multivariate statistical analysis of the various isotope signatures can help to discriminate between different geographical locations. What about the DNA of honey? Why not analyze the deoxyribonucleic acid (DNA) properties of honey? Recently, there has been significant progress in this area with the development of pyrosequencing and the use of barcoding strands of DNA. For plants, the ideal is to barcode selective DNA strands that have one or a few standard loci that can be sequenced easily and reliably in large sample sets. Comparisons of those sequenced data against available plant DNA data bases enable specific pollen types to be distinguished from one another. DNA barcoding can also be used to link specific pollen types in honey bee pollen pellet studies. The screening process is becoming faster and less expensive than having palynologists spend hours or days sorting through pellets to identify the many pollen types and the ratios of each type. However, there are still many challenges, as noted by Richardson and his research group in 2017. 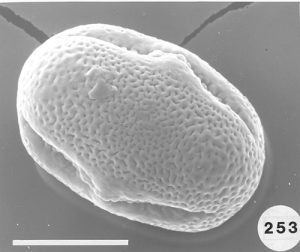 When using pollen pellets in tests that paired DNA data against pollen data identified by skilled palynologists, Richardson’ group found that neither technique was perfect. Nevertheless, the field of DNA analysis of honey and pollen pellets is evolving rapidly with new studies in genetics using gene-based results. New testing comparing DNA data against actual pollen counts are showing great promise and helping to refine the gene-based techniques. It appears that for large pollen pellet studies funded by state or federal agricultural agencies, emerging genetic techniques might prove to be the fastest and most efficient way to study vast amounts of data collected from large areas. Currently, a major problem is that not everyone has access to the equipment or expertise needed to conduct isotope or gene-based analysis of either pollen pellets or honey. 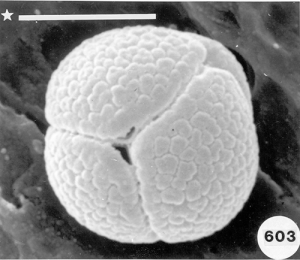 Therefore, there is still room for palynologists using light microscopy to analyze both honey and pollen pellets. 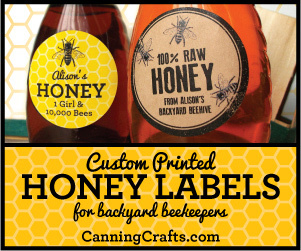 Small studies that focus on limited numbers of samples, which are often requested by local beekeepers, may not warrant the use of expensive methods for testing. 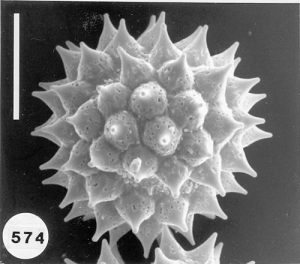 Pollen studies conducted by palynologists using the limits of light microscopy are still adequate for many types of honey and pollen pellet studies where quick results are needed and where the main concern might be determining the primary (but not all) floral types and not needing an ID down to the species level. In recent years, there have been advancements in using three-dimensional synchronous fluorescence spectroscopy (3-D SFS) to provide unique “fingerprint” types of identification for the phenolic contents in honey. Those identifications provide good signatures for the floral sources and can identify the geographic origin of honey samples. Nevertheless, melissopalynology studies of honey using standard light microscopy to determine the geographical origin of specific honey samples (local vs. not local) is still less expensive and faster than using other techniques. 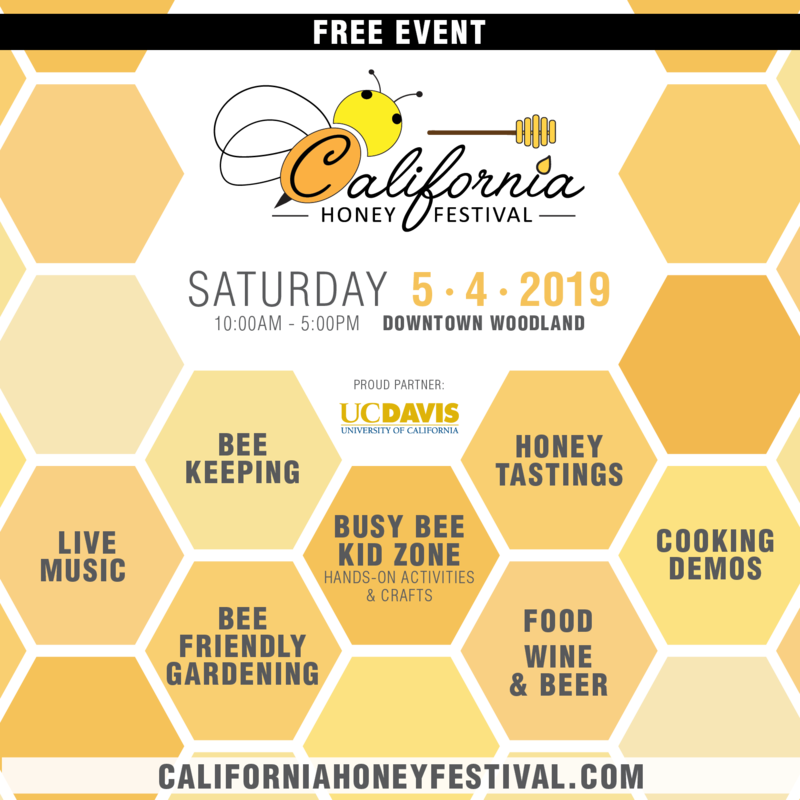 On the fringes of current honey research there are researchers searching for ways to use liquid and gas chromatography to identify the amino acids in honey and thus identify the various honey types. 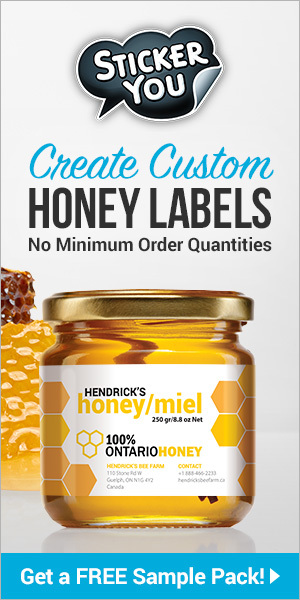 Different amino acid patterns exist in different types of honey and if you have a good database of the expected amino acids in honey, then by applying discriminant analysis one can distinguish some key honey types. 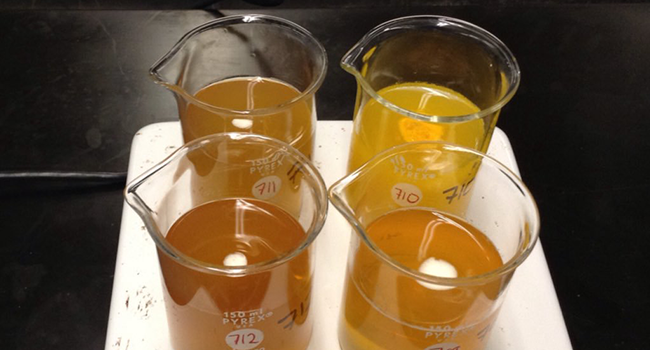 Volatiles contribute significantly to the flavor of honey and variations in taste result from different nectar types. The isolation and analysis of phenolic acids and the volatile flavonoid components in honey is difficult, but possible. Previous attempts confirm that a careful analysis of the volatiles in honey could become a useful tool for determining nectar sources. However, the volatile components could be changed and altered depending on how the honey was treated and stored before testing it. High performance liquid chromatography has been successfully used to characterize the flavonoid patterns in specific types of honey, such as citrus, sunflower, lavender, rosemary, and heather. Some believe that flavonoid patterns could become a good way to determine the floral contents and geographical origins of honey, provided one could develop a good database and use multivariate statistics. The mineral and trace elements in honey samples have shown some promise when used to indicate types of environmental pollution that can pinpoint certain geographical locations as the origin of honey samples. Tests of the composition of organic acids in honey have also demonstrated that it might become useful in identifying specific unifloral types of honey. Unfortunately, all of these other methods of honey and pollen pellet identification thus far suffer from some type of problem. 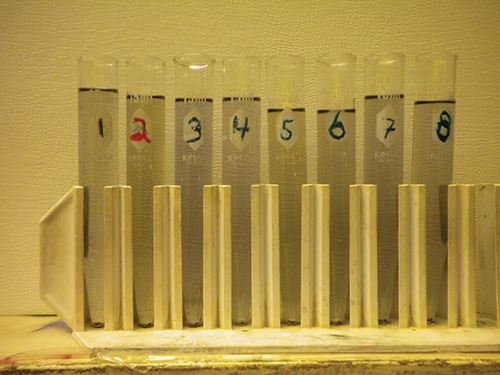 For some, the problems focus on the need for special and expensive laboratory equipment. Others are too time-consuming and require an extensive database before the results can be determined. Some methods are too costly to use routinely; others require skilled technicians or analysts. It seems there is not yet an inexpensive, foolproof, or simple way to verify the floral and/or geographical origin of a honey sample. In summary, melissopalynology still has a promising future as a way to identify the floral sources, potentials of adulteration, possibility of blending, and the determination of local or foreign origin of a sample. Worldwide melissopalynology currently remains the least expensive and quickest method to get reliable answers, provided the pollen extraction and analysis is conducted by competent individuals. 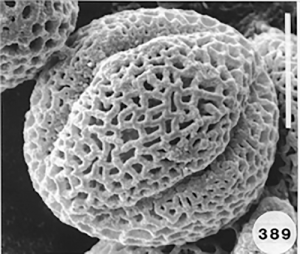 Nevertheless, the rapid advancements in the field of gene-based methods of pollen identification may someday make melissopalynology, conducted by individuals using a light microscope, obsolete! Vaughn M. Bryant, PhD, Professor and Director, Palynology Laboratory, Department of Anthropology, Texas A&M University, College Station. www.//anthropology.tamu.edu/vaughn-bryant.